Doan Hung Phuong, who got Band 7 in IELTS, shares with us his secrets for success in the Reading test. I must say that this skill is based on intelligence very much. 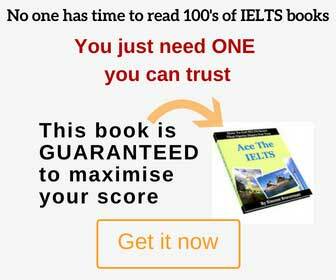 I was advised that reading various type of articles is the best way to prepare for IELTS. In reality, I have never done that, simply because I don’t have time. I hate reading. But the fact is that in this skill I got the highest score. I have no idea why, not because I am an intelligent man, but maybe, just maybe because I can understand the main idea very well. Reading requires a great deal of vocabulary. But when my friends tell me that I got the high score because I have a good range of vocabulary, I totally disagree. Vocabulary is important, but you don’t need to know every word. You should only know keywords, the words that can change completely the answers. Pay a particular attention to the grammar structure. You may see various types of grammar structures, but try to understand them all, they will be helpful for your writing. Most of us have limited vocabulary, but if you are weak at grammar, you don’t know what the text refers to, and obviously, you lose main idea. As a result, you can’t guess the meaning based on context. Catching the main idea in reading is also important. You must have known that skimming and scanning are 2 essential tools in reading. Both rely on understanding of main ideas. Therefore, if you can’t catch main ideas in a short time, you will suffer. But how to practice getting main ideas in a brief time? I must say that reading various articles in this case is helpful (even though I’ve never done so). But I tried to do reading tests every day, and tried to understand the main idea of every passage. Another way to practice Reading is Speed Reading. I have known this method from English centers but to many people, maybe this is still a strange way. You choose a short easy passage (about 500 words) and then read quickly (for both main idea and details). Please note that the passage you choose must be easy. If there are more than 5 words that are completely new to you, perhaps it is not a good passage for the speed reading. In addition, reading as quickly as possible is NOT the key. If you read so fast that you have to read again, there are no benefits gained from this practice. The key here is main ideas, and next is details. Besides understanding all main points, you should try to remember as much details as you can. In speed reading exercises, there are 10 true/false question for you to do at the back. These questions will measure your accurate comprehension. Besides skimming and scanning, I found that reading intensively is also important in the IELTS test, especially to understand tough questions. Some questions or particular sentences, you need to read and try to understand every single word. Especially with true/false/not given (or yes/no/not given) questions, a single word can change the whole meaning. After finishing the reading practice test, you MUST check all wrong answers, try to explain why you were wrong (you may need someone who has a good level of English to help you) and think of another way to answer those questions faster. You will gain the necessary experience by doing this before the real test. Hii, plz tell me about the writing task. I have problems in ideas. I did not express my ideas. Hi Ramandeep, did you mean you have a problem to generate ideas or to express them? It’s one thing if you can’t quickly think of something to write about, and it’s another issue if you can’t explain your ideas well. Hi Khushi, the best tip is to look very closely at the questions you get wrong. Firstly, you need to understand why your answer is wrong and the one in the book is right. Then you need to find out why you made that mistake, what got you confused, and how you need to read the text in order to get the correct answer. For instance, some people have a big problem with time management and waste all their time on one text, others tend to read too much, or too little, you need to find your issue and work to resolve it. When you change the way you are reading the text to answer questions correctly, your score will go up.